J ackie is Sheffield born and bred and is married to Martin and they have two kidletts. 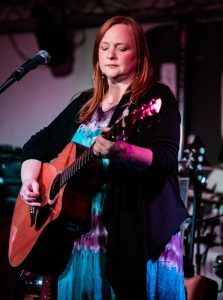 She sings and plays guitar at St Tim’s, Crookes and is usually involved in the annual pantomine. She has a background of playing clarinet, piano and flute, but her main instrument is guitar and singing. She loves drinking real ale and single malt whisky.